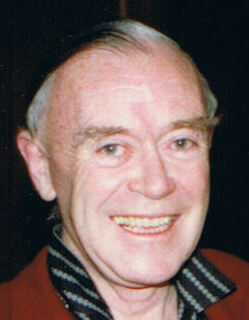 James O’Sullivan was a major force in the development of national and international bridge administration in the 1970s and early 1980s. His drive, commitment and skills helped lay the foundations for much of what exists today. He was born in Victoria but came to Queensland to study economics (a brilliant student, he had matriculated at age 14, too young for the Melbourne University entrance but Queensland was more accommodating. He left in his final year to join the navy and after the war joined his uncle’s printing and stationery business, Jackson & O’Sullivan in Brisbane. He was required to learn the business from the bottom up and eventually became Managing Director in the mid-1960s and headed a very prosperous business. He began playing bridge in 1961. He quickly became involved in bridge administration and helped found the Queensland Contract Bridge Club and for many years was on its board as a director or chairman. He was a member of the Council of the (Queensland Bridge Association) QBA for five years from 1967 to 1971 and served on numerous sub-committees. He was secretary for three years and President in 1971. He was the Queensland representative on the Australian Bridge Federation (ABF) Council during this time and in n 1972 he became President of the ABF and held that position until his death in 1982. He took over as ABF President at a time when there was a serious schism among top players and administrators in Australia. His initial challenge, therefore, was to be a peacemaker – a challenge well suited to his diplomatic skills – but his contributions to bridge covered many areas. He had an important role in the development of important national competitions. He helped organise early Gold Coast Congresses and the Australian National Championship in Brisbane in 1971; and as President of the ABF, saw the first National Open Teams event in Sydney in 1975. During his Presidency of the ABF there were also important innovations in championship entry and national selection rules. Some inequities in the existing systems of restricted entry to the National Championships were removed and the Australian Team Trials were opened up. He was a strong advocate of international competition, and travelled with and supported in many roles almost all Australian teams that competed abroad during his presidency. Ever keen to prepare teams properly he was the first to import screens which were then not in use in Australia – although Australian Bridge complained that players were not taking advantage of this to practise. His most important contribution to bridge though lay in his efforts to strengthen administration at every level from State to national to zone and international level and to better define the roles that each level should play so as to contribute most to the development of bridge. During his presidency, the ABF constitution was changed to give the Federal executive increased power relative to the states. In the sixties and seventies, building these linkages required extensive travel and personal contact. James was a successful businessman (Managing Director of the firm of Jackson & O’Sullivan, a Brisbane printing and stationery business). He had travelled extensively in rural Queensland for the firm in the 1950s and used his knowledge of people and places to help found the QBA. In the 1970s at his own expense he attended Congresses at every level in all parts of Australia and built up strong interpersonal connections with his personality and unstinting hospitality. He was the ABF’s delegate to the South Pacific Zone (Zone 7) of the World Bridge Federation. He became President of the Zone and its delegate to the ABF’s Executive Council in 1975 and occupied both positions until his sudden death (probably from viral pneumonia) in 1982. As he had done locally, he also, on behalf of the WBF, and at his own expense, travelled extensively in Asia and the Middle East to help in setting up the new zone. Though possessing a temper at times and often forceful in putting a case, his recognised integrity, gregariousness and good will were important ingredients of organisational success. In addition to his work in the South Pacific Zone and his advocacy for the zone at international WBF meetings, the WBF acknowledged the “many unpublicised contributions” he made in laying the groundwork for the establishment of the Asia and Middle East Zone in 1980. It was in his capacity as a member of the WBF Council that James became involved in the famous “foot-tapping” scandal of the 1975 Bermuda Bowl. Two members of the Italian team, Gianfranco Facchini and Sergio Zucchelli had been suspected of cheating well before they set foot in Bermuda. An American reporter who observed them closely became convinced that they were communicating by means of tapping each others feet under the table. The matter was eventually escalated to Julius Rosenblum, the WBF President who then arranged for James and Johannes Hammerich to watch the Italian pair during the match between Italy and Brazil on 25 January. James was apparently sceptical about the allegations but his views soon changed. He noticed that Facchini’s feet braced against the legs of his chair while Zucchelli’s feet stretched out close together. During the play of fifteen boards, he saw Facchini twelve times tap one or other of Zucchelli’s feet or both at the same time. The action of Facchinni’s feet he said were “like the strike of a cobra”. The Appeals Committee deliberation was as controversial as the incidents themselves. They did not feel they had enough evidence to convict the players of cheating but on the basis on James and other independent observers’ advice, they agreed that contact had been made and that this was very strange and very unethical behaviour. Finally, they severely reprimanded the players for the improper conduct of moving their feet. It was an open question as to whether the judgement was a compromise designed to prevent the withdrawal from the event of either the American or Italian team. James’ commitment to administration undoubtedly limited his career as a player. He was regarded as a talented but erratic player through lack of practice. He was a member of the winning open team in the Queensland state titles ten years later in 1971 and was non-playing captain of two Queensland Teams at the National Championships but his main contribution to bridge was not in his card play. Administration soon took more time and he had many other interests. He was widely read, a keen race goer, gourmet and connoisseur of fine wines. In 1985, in his honour, the ABF established the James O’Sullivan Trust Fund to provide building loans for clubs. The Queensland Bridge Association instituted the James O’Sullivan award for masterpoint achievement. In his tribute to James, Tony Jackman quoted a comment by Felicity Beale that “one remembered times spent with Jim particularly as times of fun”. He enjoyed sharing his interests and pleasures – a great “giver” in bridge and life generally.